Alvin Lo is currently the overseas operations manager of Xiamen Qingci Digital. 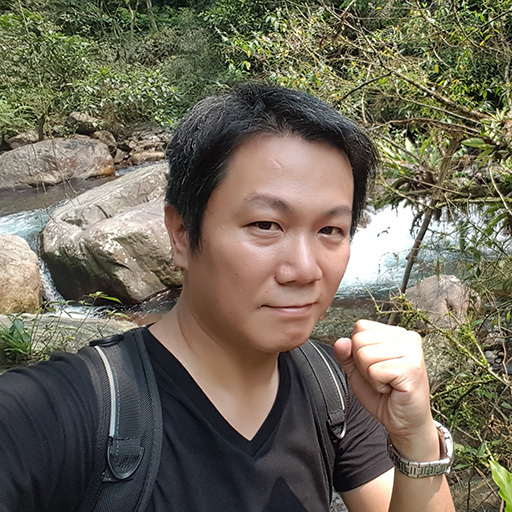 An expert in mapping out game walkthroughs for others, Lo has posted several well-received projects, including walkthroughs for popular games such as New Tianshang Bei (新天上碑), Internet Sango (網路三國), and Heroes of Jin Yong (金庸群俠傳). His walkthrough website created especially for the game New Tianshang Bei became so commonly-known that it’s now considered a shrine that all players of the game must visit at least once. Alvin became part of the game industry in 2003, accumulating experience through creating PC games, browser games, and most recently mobile games. He specializes operation and localization strategies for game products, as well as adjusting gameplay balancing and planning online/offline/real-life events. He is currently the strategic leader of operations and marketing for the mobile game Gumballs & Dungeons in Taiwan, Hong Kong, and Macau. It might be hard to believe that Gumballs & Dungeons, a game in the less-popular roguelike genre, has become so widely loved in Taiwan, gaining over 400,000 players in the first six months after its release and overwhelmingly positive reviews in app stores and the major ACG website Bahamut (Gamer.com). This is considered extremely successful for a small development & operation team, which has naturally faced many trials and challenges throughout the process of creating and marketing G&D. The development process was a difficult one, with much time and effort invested in improving and optimizing core features and planning localization and marketing strategies. How can a tiny team with limited resources promote its roguelike game, a genre that is not really newbie-friendly, and find acceptance in the mainstream market? This talk will be centered on the Chinese version of G&D and experiences concerning the development process, core designs, and marketing strategies. The team aims to provide a sort of reference for other developers, in order to help create a multitude of new possibilities for Taiwan’s gaming industry.